Birther sources are saying that Judge Malihi informed counsel that he was entering a default against Barack Obama on the grounds that Obama’s attorney didn’t show up. They say the plaintiffs requested a brief time to get their case on the record. There are two plaintiffs represented by two attorneys who are saying this and for the time being, I’ll assume that it is true. Any default order may provide for a default as to all issues, a default as to specific issues, or other limitations, including limitations on the presentation of evidence and on the defaulting party’s continued participation in the proceeding. After issuing a default order, the Administrative Law Judge shall proceed as necessary to resolve the case without the participation of the defaulting party, or with such limited participation as the Administrative Law Judge deems appropriate, and shall determine all issues in the proceeding, including those affecting the party in default. So this is still wait and see. Doctors and Obots and Birthers, oh my! 41 Responses to Default in Georgia? Seems to me that, if reports are accurate, he OFFERED to enter a default order (not judgment) and … they declined, insisting on presenting their case. Whereupon, they made Obama’s case. I’m not even sure what a default judgment would mean in the context of this hearing. Mahili doesn’t have the authority to rule that Obama is ineligible or that he should be removed from the primary ballot. All he can do is make a recommendation to the Secretary of State. A recommendation isn’t a judgment. As a lawyer I’m finding this a little disturbing. But I guess it’s my overburdened sense of duty to a client. I hope that the counsel for respondent has written authorization from his client not to appear. (1) As provided in the APA, the Administrative Law Judge shall apply the rules of evidence as applied in the trial of civil nonjury cases in the superior courts and may, when necessary to ascertain facts not reasonably susceptible of proof under such rules, consider evidence not otherwise admissible thereunder if it is of a type commonly relied upon by reasonably prudent persons in the conduct of their affairs. An argument can be made that the COLB is a duplicate original. Wow, look at this from the Rule on the rules of evidence. 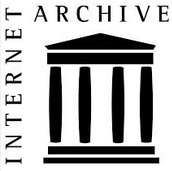 (e) documentary evidence in the form of copies if the original is not readily available, if its use would unduly disrupt the records of the possessor of the original, or by agreement of the parties. Upon request, parties shall have an opportunity to compare the copy with the original. They have had that opportunity. Depending on the nature of the hearing the AJ opinion is binding or a recommendation subject to approval or disapproval by the Agency head. (616-1-2-.27 Initial or Final Decision. ) Anyone know? Uh Oh: 616-1-2-.42 Attorney Withdrawals; Leaves of Absences. Oh dear: 616-1-2-.30 Default. Amended. Huuuuuum, being there on the date and time prescribed, absent compliance 616-1-2-42, could that be enough? Also, it appears that the filing papers are already in evidence, that would be part of the referral package from the Agency once the complaint was made. As far as I can tell, this isn’t a trial court. Their purpose isn’t to necessarily find for one side or another in any kind of binding way, but to determine facts and use those facts to come to a recommendation. It sounds to me as if the judge is able to use anything that was brought before him and decide if it’s BS or not. I really doubt that he’s going to come to some sort of conclusion based on the two-parent citizen theory, because that’s just way too off the wall for this office to decide. I believe he will come to the conclusion that Obama was born in Honolulu on Aug 4, 1961, since none of the parties really argued that he wasn’t. 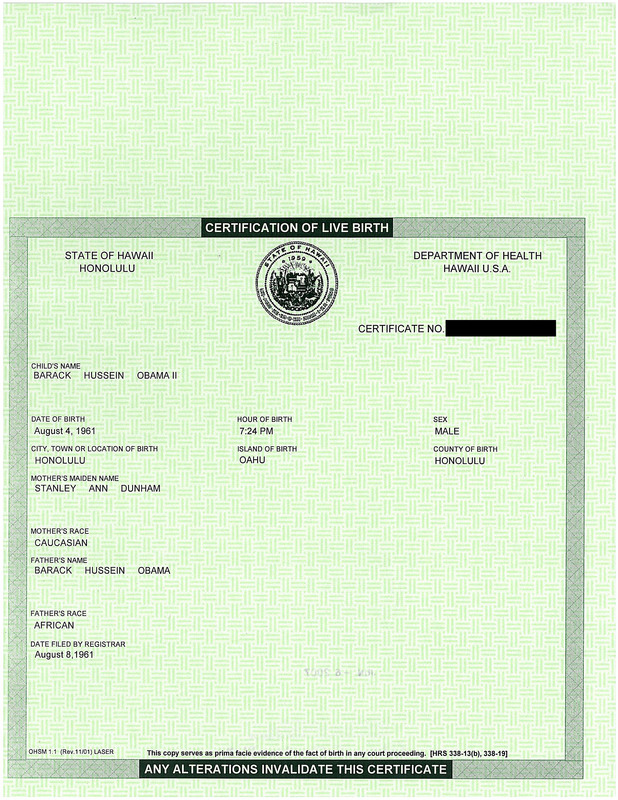 Personally I would think if they brought some uncontroverted proof that Obama was born overseas to two non-citizen parents, he’d probably be safe in ruling that he doesn’t meet the Constitutional requirements. If someone brought an action on a candidate for Congress, I think he might be able to adjudicate the fairly simple eligibility language. However, I’d think he might just punt on the whole two-parent citizen thing because there’s no solid guidance he can follow. This isn’t like an unlawful detainer action where there’s a statutory time limit for the defendant to respond, after which the plaintiff can seek default judgement regardless of how defective the action was. For the most part a clerk filing the paperwork isn’t going to double-check that all the assertions made by the plaintiffs are correct, although the action can be challenged for being defective by the defendant. February 5 is when briefs from both sides must be submitted. After a little reflection, I take it back. Since the defendants didn’t show, the judge did of course take the plaintiffs into chambers, we all saw that. And I think it is possible, even probable, that he told them because of the no-show, he would be entering a default judgment by rule … and proceeded to explain what that did—and did not—mean. Unfortunately, the psychologically ravaged birther brains shut down at the mention of “default judgment” … as their brains were plugged up with visions of grandeur and justification, they couldn’t hear the caveats. Kinda like the end of Brazil where Sam goes completely catatonic under the inquisitor’s knives, permanently withdrawn into his fantasy world. ” … As we are trying to get a quick lunch, and then do some interviews, this is just a very brief synopsis of what happened today. Before the hearing started, the judge called the attorneys into his chambers and explained that he was going to enter a default judgment in their favor. Attorneys Hatfield and Irion requested to be able to present abbreviated versions of their arguments so that they would be on the record. At that point, Irion estimated he would need 20 minutes, Hatfield estimated he would need 30 minutes, and Taitz estimated she would need 2 hours. According to one person who brought forth the suit, the judge has sided against the Kenyan Marxist homosexual and will inform the SoS that booty should be kicked off the ballot. The SoS (supposedly) has said that he/she will follow the judge’s reccomendations. The really good news: the judge agreed to enter the arguments against “President” Soetoro. This means any possible challenge (by the Kenyan) must face the facts against him (as well as the fact that he skipped the hearing). Correct. That has pretty much always been the case, since towards the beginning of this whole thing being set up. Nothing has changed in terms of that Feb 5th date or what all sides are asked to provide for it. That remains the long standing status quo of the steps in this hearing. charo: JUst read this:February 5 is when briefs from both sides must be submitted. Lord Basil: According to one person who brought forth the suit, the judge has sided against the Kenyan Marxist homosexual and will inform the SoS that booty should be kicked off the ballot. This is excellent news! I always knew that Ron Paul was gay. Just caught up on reading some of the discussion over at The Fogbow. IANAL – My take on the proceedings. 1. The parties represented by Jablonski did not participate in the hearing stage of this proceeding. 2. Respectfully, as I read the “language”, the ALJ may enter a default order against the parties represented by Jablonski. 3. If the ALJ does enter a default order, he must still make a determination on evidence provided by all parties at all stages of the proceedings. 4. 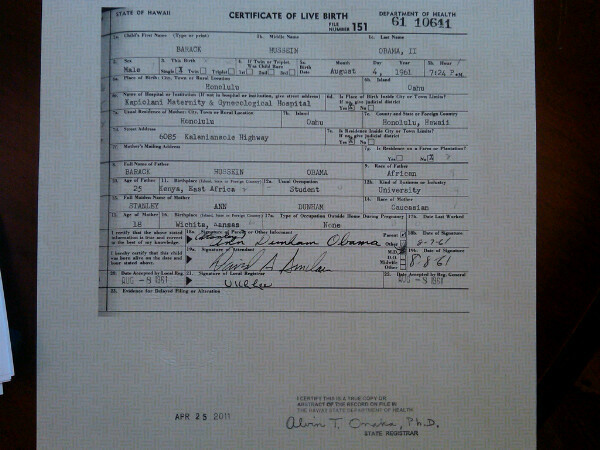 The evidence shows that Barack Hussein Obama was born in the State of Hawaii on 8/4/61 and meets the age and citizenship requirements for the office of President of the United States. 5. No evidence was provided which disputed the fact that President Obama has been resident in the United States for at least 14 years. 6. If the ALJ determines that President Obama is not a natural born citizen, the ALJ is a f—-ing a–h-le, and his “determination” will either be ignored by the SOS of Georgia or overturned by a judge in a real court. If Kemp rules that Obama stays on the ballot, its a dead end appeal and no court will touch it Even under the most liberal birther-oriented interpretation, Kemp has discretion to reject the challenge, especially under the facts provided. If Kemp were to try to strike Obama from the ballot (something I do not think will happen) — then the appeals would be very fast and there would be a federal injunction in place very quickly. Aside from all the constitutional ballot access issues involved, the law is always strongly in favor of preserving status quo pending final determination. So getting Obama kicked off the ballot is by definition a lot harder than keeping him on, no matter what the circumstances. And of course as far as Obama is concerned, it doesn’t make a difference. It’s a primary & he’s running unopposed, and the National Party can set whatever rules it pleases in terms of how Georgia delegates are selected and recognized. Phil Cave: I hope that the counsel for respondent has written authorization from his client not to appear. Geez, Phil — he is representing the PRESIDENT. Obviously he was instructed not to appear. It was probably mostly a political consideration. The ALJ is powerless and the issue at hand is irrelevant. The ALJ had shown a propensity to let Orly get away with all sorts of crap, so a hearing was sure to be contentious, with the lawyer needing to object to all sort of irrelevant garbage, and then cross-examine Orly’s “experts” after the ALJ injudiciously overruled all their objections. There were cameras in the courtroom and with enough fireworks, the thing could have ended up going on for several days and made the mainstream news. Staying away meant that that things were fast & boring, and the problem goes away quickly. The Obama campaign didn’t want to make a mountain out of a molehill. Again, an adverse ruling has no consequence to Obama, as clearly under Georgia law the Secretary of State does not have power to remove Obama from the ballot, and he is running unopposed in a primary in any case — so on the ballot or off, he wins. The question is merely whether it is going to be a political embarrassment to the Obama campaign or to the Republican party. Obama didn’t want his people bogged down in this mess, so he passed. Or at least the people running his campaign made the decision to pass on it. I’m 100% with you here. I wanted to add that Orly submitted a copy of Obama’s US Passport (I think it was item 140 in a photo montage she submitted). oh please say its a video montage with soft transitions set to “total eclipse of the heart”. The default rule is pretty clear, the judge is still obligated to weigh all of the facts and the application of law to those facts. A default in a Georgia administration law hearing doesn’t result in an automatic “win” for the other party, particularly because the judge doesn’t have the authority to render a decision. Finally, written briefs are due on February 5th. There is nothing to prevent Mr. Jablonski from filing a carefully crafted, but efficiently worded arguement. Despite his non-appearance today, his written brief carries equal weight. While I would have enjoyed listening to Mr. Jablonski make mincement out of the plaintiffs, his decision not to participate puts Mr. Malihi in the unenviable position of having to be accountable for his sloppy decision-making about the motion to dismiss and the motion to quash the subpoena. I suspect after the hearing was over, Mr. Malihi hightailed it to a local tavern to wash away his sorrows. What horrific fate having to pander to a bunch of nutburgers. Dear Dr., why would you possibly assume that these birfoon claims about what the judge told them are true? Have you at all observed their track record of claims of “sympathetic judges”? I imagine the president, having been accused of spending so much money on defense lawyers and “hiding” his info, decided not to appear as if cared at all. He knows he’s president, eligible and can prove it. A natural confidence of being truthful and right. It’s not worth any bad press to spend any sizable money on something like this. It could create *more* birthers. Instead, the birthers, who previously chanted they’d never been heard in court and that Obama spends such millions on lawyers, now can’t make such claims as easily. This could create *less* birthers. He allowed birthers to have a voice in court and let some of their tensions dissipate. But they were ignored by him, his lawyer and also the greater media. When you’re the president, everywhere you go there are mass cameras and attention. If I was president and had to make a choice to appear or respond, I’d do the same thing. This hearing didn’t justify any legitimate media attention or legal costs and it was wise not to give it any. Joe Acerbic: why would you possibly assume that these birfoon claims about what the judge told them are true? Oh, I think the birthers are reporting what their heavily-filtered, severly-warped minds heard …. not necessarily the same as what the judge said. Perhaps the budget for Operation In Like Flynn had a hard cap of $2M US and the High Illuminati, satisfied with results of previous efforts, did not feel that further expenditures were justified or necessary? $2 mil is chump change to those guys, but hey, they got a lot going on. The amazing thing are the minority who actually understand enough about the decision in front of the ALJ and SoS yet think that there’s any chance the SoS will disallow Obama on the primary ballot. Any posturing like he might be inclined to do so is just that, posturing, there’s no way he doesn’t understand that he’ll make himself and the state of Georgia laughingstocks over something that has absolutely no impact whatsoever on anything. It’s ironic that, as I understand, the ALJ doesn’t have the power to hold Jablonski in contempt for basically saying it wasn’t worth his time to show up in court because he pretty clearly did decide the whole process that was going on was a contemptible waste of everyone involved’s time. US Citizen: Instead, the birthers, who previously chanted they’d never been heard in court and that Obama spends such millions on lawyers, now can’t make such claims as easily. ‘Course they can. They will just collectively “forget” the GA hearing. After all, they’re perfect disciples of the propaganda rules set out in “1984”. You never know. Birtherism, in the field of actual politics, is a bit like nuclear warfare. Bringing it out might destroy your opponent, but it also might destroy you. So if the Obama camp goes “let the SOS remove Obama from the ballot and make people go ‘are they crazy, the sitting President??? '”, the SOS might think “now I can do this with the backing of a court ‘order’ based on formalities, so I might just get away with ‘he didn’t follow proper procedure just like the GOP candidates in other states’, yet plant some doubt about Obama’s truthfulness in the public mind”. How that would play out, nobody knows. Then again, I realize that most of these speculations is no better than the birthers and their constant suspicion of people having “ulterior motives” or “saying something between the lines”. And the question came from Tom Crawford of Capitol Impact. what contribution, if any, does deal have in this? There are a few reasons why I am tentatively accepting this claim. First, it didn’t come from Orly Taitz. Second it came from two independent sources. It is plausible and in line with court rules. Finally it explains what happened in the courtroom, particularly the fact that Mr. Hatfield didn’t make a closing statement. All he did was get his facts into the record (i.e. he was representing an eligible Georgia voter and that Barack Obama Sr., a non citizen, was the President’s father). It’s also consistent with Taitz being shut down several times before her time was up, and her not objecting. Joe Acerbic: Dear Dr., why would you possibly assume that these birfoon claims about what the judge told them are true? Have you at all observed their track record of claims of “sympathetic judges”? One other thought just came to me about why Jablonski might not have participated. I was thinking in court yesterday how one would have wanted to OBJECT every two minutes to non-expert experts, conclusions on the part of the witnesses and exhibits that do not follow the rules of evidence. Well in that administrative court, I think all of that stuff is allowed. So Jablonski, by being absent, didn’t legitimize the submission of crap testimony. His failing to object in court might have been seen as admitting its quality. I doubt Jablonski wanted to argue halos with Vogt. Dr. Conspiracy: There are a few reasons why I am tentatively accepting this claim. Let’s assume there were a default order. The passage you quote says, “After issuing a default order, the Administrative Law Judge shall proceed as necessary to resolve the case without the participation of the defaulting party”. So that means, presumably, he accepts the evidence presented by the other side. 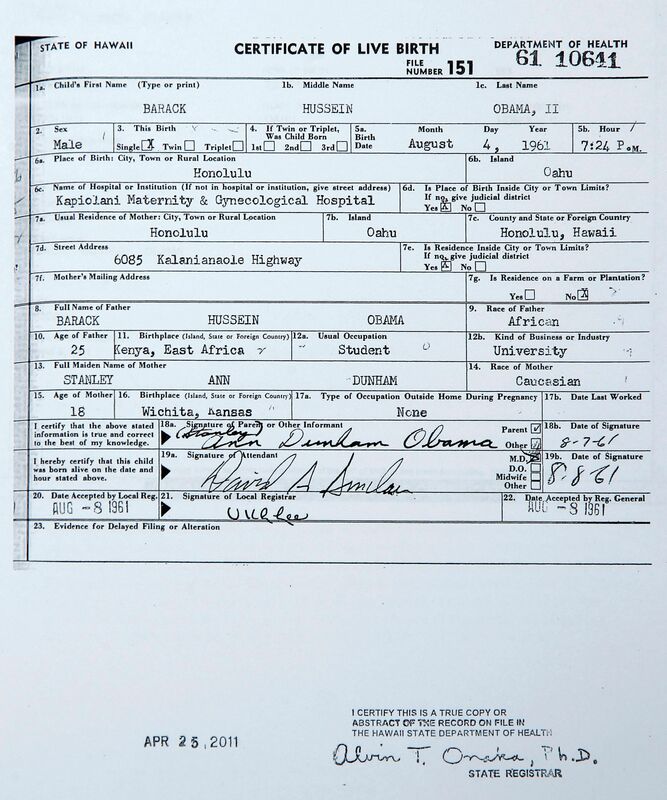 And in this case, the other side presented evidence that the President was born in Hawaii and no evidence that he was born elsewhere. So the judge must conclude he was born in Hawaii. Then there are arguments along the Vattel lines. But I don’t think a default means he must accept those as true, regardless of how foolish he finds them. I think it means he must conduct his own research, without the defense to guide him, but it does not mean he must ultimately agree with the plaintiff. Doesn’t that mean it’s effectively impossible to “keep Obama off the (Presidential) ballot” because he won’t be on it in the first place (but instead the electors who have pledged to vote for him)? I’ve never heard of an elector being kept off the ballot because he pledged to vote for Fidel Castro or suchlike. Dr. Conspiracy: It’s also consistent with Taitz being shut down several times before her time was up, and her not objecting. “Doesn’t that mean it’s effectively impossible to “keep Obama off the (Presidential) ballot” because he won’t be on it in the first place (but instead the electors who have pledged to vote for him)? It needs to be kept in mind that the utimate decision is made by an elected politician, the SoS. And it’s a universal rule for elected politicians that they try to appease all sides and not provoke a sh$t storm if they can avoid it. The SoS is a Republican, so he can’t afford to totally blow off the birthers. On the other hand, some election might come along where he might want votes from Independents and even Democrats. Plus, whoever the Rs nominate for President is going to have to do a fancy pirouette away from the loony things he said in the primaries to attract votes in the general, and a birther fest in Georgia will not help them. So what to do? That way, he disses the President, winning points with his party while leaving him on the ballot so as not to roil the other side more than necessary. The birthers will scream, but nobody who matters listens to them. Seems like a way to salvage some face out of what is probably a big headache for the SoS. Scientist: Then there are arguments along the Vattel lines.But I don’t think a default means he must accept those as true, regardless of how foolish he finds them. I think it means he must conduct his own research, without the defense to guide him, but it does not mean he must ultimately agree with the plaintiff. It would be funny if a kook went to this judge claiming e.g. that the Wong Kim Ark decision defines that ONLY children of Chinese immigrants are natural born citizens eligible to be President and lacking opposition, the judge then declared that it’s now the law of the land. Scientist: It needs to be kept in mind that the utimate decision is made by an elected politician, the SoS. And it’s a universal rule for elected politicians that they try to appease all sides and not provoke a sh$t storm if they can avoid it. The SoS is a Republican, so he can’t afford to totally blow off the birthers. On the other hand, some election might come along where he might want votes from Independents and even Democrats. Plus, whoever the Rs nominate for President is going to have to do a fancy pirouette away from the loony things he said in the primaries to attract votes in the general, and a birther fest in Georgia will not help them. So what to do? While most state-level secretaries of state are in elected positions, they typcally take their responsibility very seriously as impartial arbiters of elections and custodians of whatever records which the office is given responsibility. 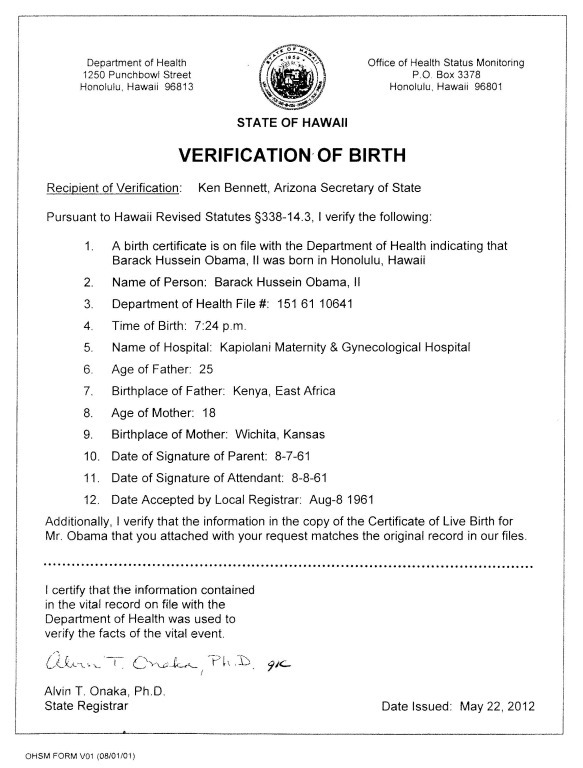 Even Jan Brewer (Arizona Governor and former SoS) vetoed Arizona’s birther bill because she found the requirement for a “long form” (which Hawaii actually could have supplied for President Obama) seemed ludicrous to her given her experience. Arizona required proof of citizenship for voter registration, and she was well aware that there are many state and local agencies that won’t have issued such a document as a matter of policy. Brewer is hardly a fan of Obama, but she understands the importance of recognizing a properly submitted birth certificate. Even the current Arizona SoS (also a Republican) was on the record as saying that he’d accept a duly issued abstract even if the law was specific. Of course then you have Katherine Harris from Florida. She was a partisan hack in her role as Florida SoS. y_p_w: Brewer is hardly a fan of Obama, but she understands the importance of recognizing a properly submitted birth certificate. Even the current Arizona SoS (also a Republican) was on the record as saying that he’d accept a duly issued abstract even if the law was specific. So, why didn’t the Georgia SoS ask Obama to send him a COLB rather than having a circus. Even if the law required a hearing there was no need to allow all of Orly’s extraneous nonsense. The law requires public hearings if someone wants a zoning variance, but I doubt someone would be allowed to speak about aliens implanting transponders in people at such a hearing. Scientist: So, why didn’t the Georgia SoS ask Obama to send him a COLB rather than having a circus. Even if the law required a hearing there was no need to allow all of Orly’s extraneous nonsense. The law requires public hearings if someone wants a zoning variance, but I doubt someone would be allowed to speak about aliens implanting transponders in people at such a hearing.Indeed. I didn’t say that Kemp wasn’t a partisan hack – just that most elected Secretaries of State take their responsibilities as impartial arbiters very seriously. As for as Katherine Harris goes, I recall she ordered a purge of voter rolls for people convicted of crimes without actually checking to see if they were crimes that would have mandated being taken off. I think her rationale was to help out her political cause. tes, we’re glad to see you replied here. As the 2012 contest ramps up, won’t you join us again? Look at how close Georgia SoS is to spelling out George Soros. There’s some more paranoid stupidity for the birther bigots to chomp down on.